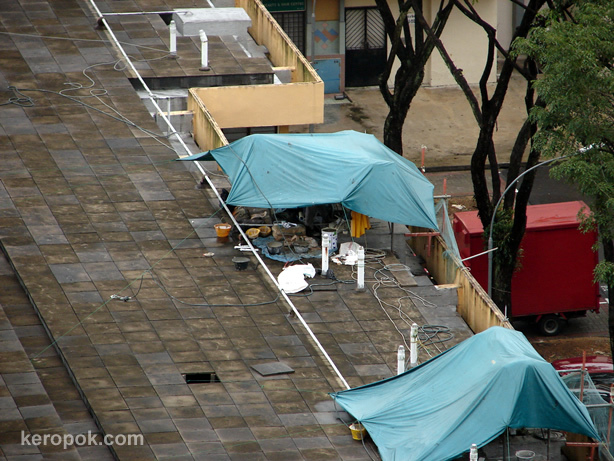 'Boring' Singapore City Photo: Camping on HBD Roof Tops? 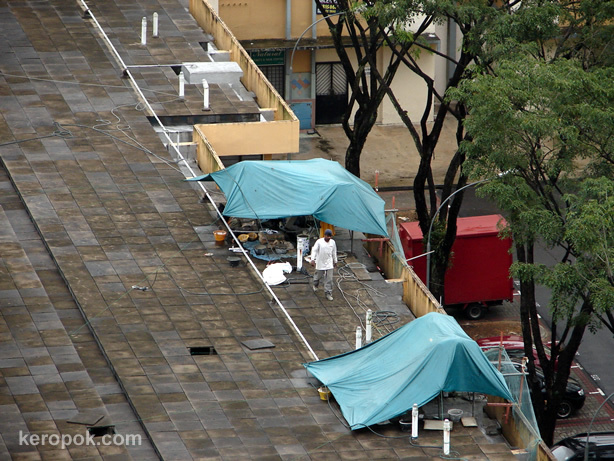 Hmmm what are tents doing at the top of the public housing blocks? People camping up there? No, they are actually doing maintenance on the roof tops. What kind of maintenance, I am not sure. But the little tents are all over, there are 10 over of them that I can see. Most probably checking the roof for leakages? Or most probably giving them a new waterproof layering. My first thoughts was "homeless people" which would have been sad. HA! I thought you were doing a photo on homelessness like Paris DP. :-) Are there even any homeless people in Singapore??? hahah...i thot illegal immigrants are so daring now to "camp" on top HDBs..
they shd understand the "most dangerous spots to hide can be the safest"! LOL!